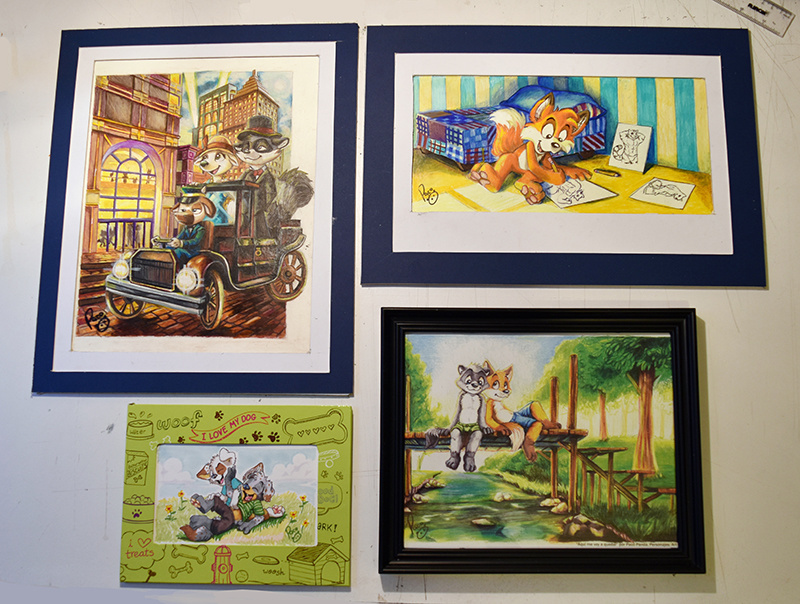 Those are the 4 pieces I will exhibit in the art gallery of Anthrocon, next weekend. All ot them are traditional arts, but 1 is a print (the one of Art and Biro, sorry, I'd love to keep the original for myself). Eh, yes, I want to save the "?" picture as an unprecedented first for the art show, although once had already shown in a stream, and also to some friends. But once the Anthrocon is over, I'll submit it to my galleries and update this image to be visible publicly. Am I gonna hve to buy these like I bout your mff stuff. Geeeeez. Best of luck with the auction, hope I manage to catch you at AC! Awww, me habria traido el del zorrito de arriba =c Suerte con ellos, Paquito! Owrrr I couldn't see how was the final bid for it, and I won't know until mid august.